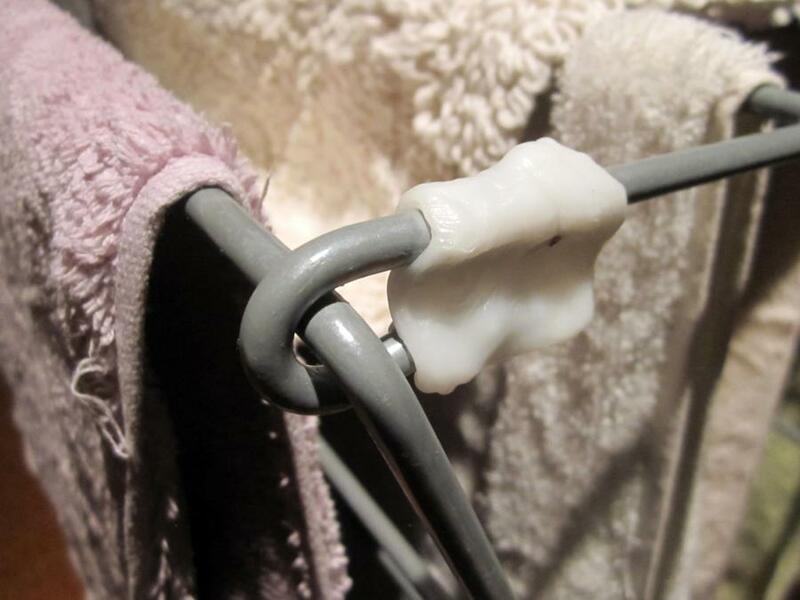 Fran used Plastimake to repair this old clothes drying rack. 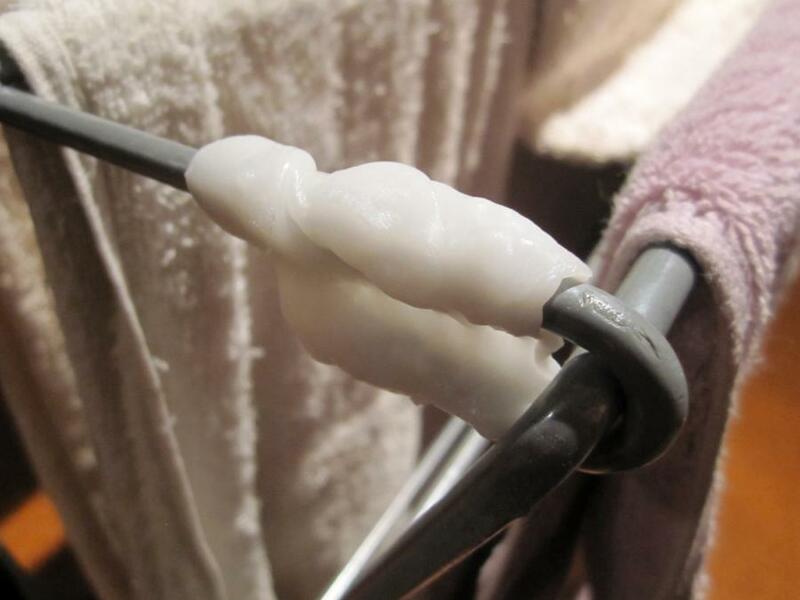 We've already seen two Plastimake drying rack repairs. There's just something about these wobbly wire structures covered in wet clothes that makes them prone to problems!